Rmpx4 by Inear Display is a Virtual Effect Audio Plugin. It functions as a VST Plugin and an Audio Units Plugin. 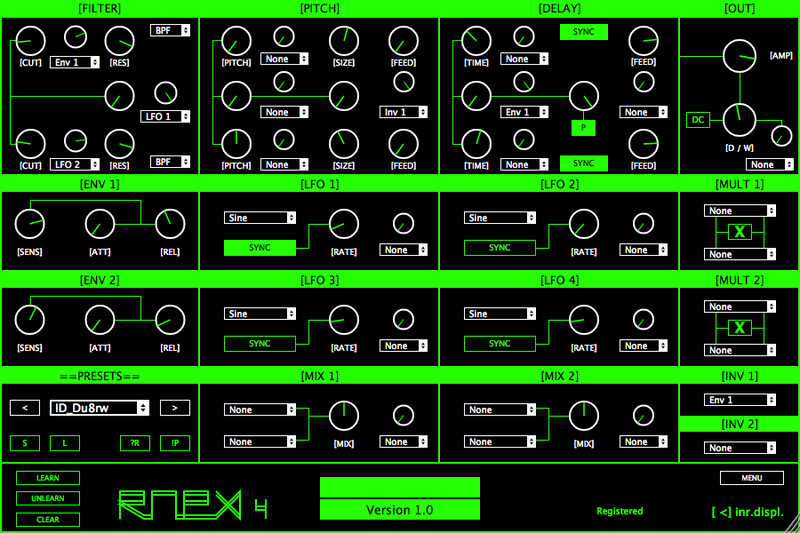 Rmpx4 is a multi effect processor focused on modulations. 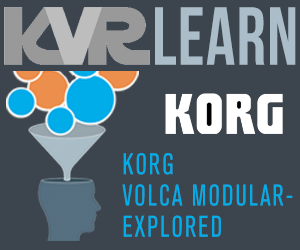 Based around three classic effects (multimode filter, pitchshifter and delay), its aim is to generate evolving variations of the input audio by crossfading between two instances of each effect and modulating their key parameters using an extensive array of control modules. 4 LFOs with optional tempo sync and 2 envelope followers can have their output inverted or combined using mixers and multipliers. 2 filters with lowpass, highpass and bandpass modes. 2 pitchshifters with buffer size and feedback settings. 2 delay lines with tempo sync and time interpolation. Crossfade control to morph between instances of each effect. Mix controls for the pitchshifter and delay modules + global Dry/Wet control. 4 LFOs with optional tempo sync. Optional DC blocker in the output module. Panic button to clean the delay lines if needed. This plugin has been reworked as Glitchmachines Convex.